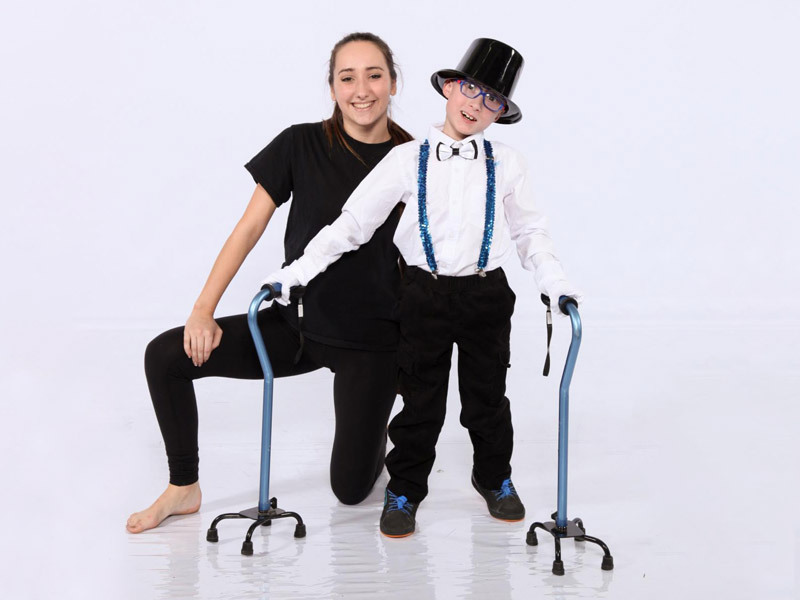 The Dance Ability Movement offers dance classes in collaboration with a host studio in order to create accessible and inclusive opportunities within the existing dance studio environment. 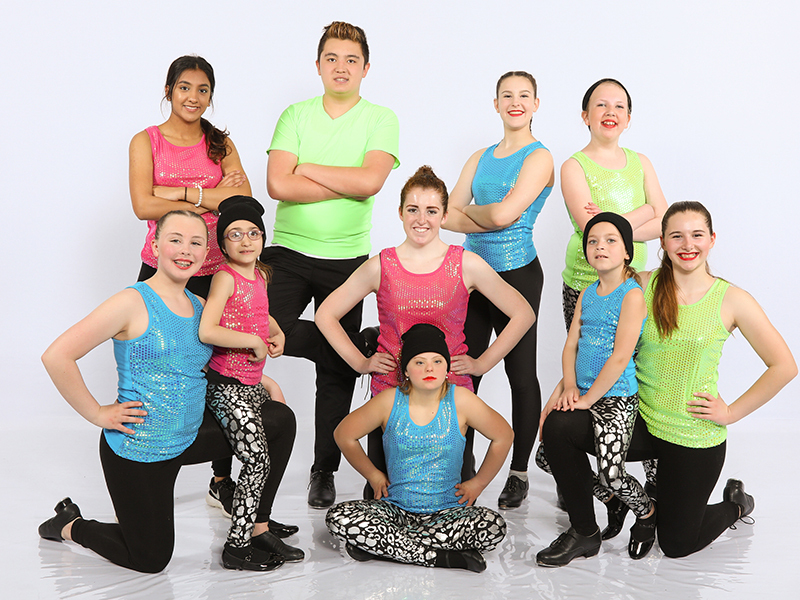 Dance Ability dancers are considered members of the hosting studio and all dancers registered in the standard Dance Ability classes are invited to participate in studio events, including the end-of-year recitals. Standard Dance Ability classes are typically 45 minutes once/week and are offered depending on studio space and instructor availability. Classes typically run with 25 classes for the full studio season (September – June) depending on the studio arrangements. Summer programming is also available; typically with 8-weeks of evening classes, or day camps. 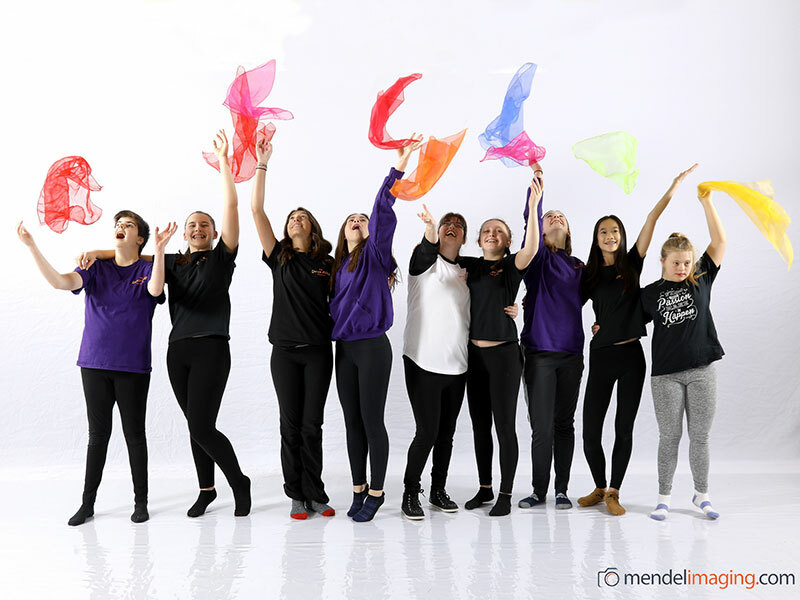 Dancers register through The Dance Ability Movement, an Occupational Therapist will oversee each dancer’s participation in the class, providing teacher & volunteer training and support in a consultative model. Dancers may learn a variety of dance styles including ballet, jazz, hip-hop, and even tap! Dance instructors receive training through The Dance Ability Movement on how to adapt the structure and programming of the class to meet students’ needs. Through the support of the Occupational Therapist and our volunteers, each dancer will work at their own pace and focus on being the best that they can be! Please Note: 1:1 volunteer buddy support may not be required for all dancers in each class. This will be decided on based on discussions with family and OT assessment of dancer’s needs within the dance class. The ultimate goal is to have dancers participating to the best of their abilities in a safe and enjoyable atmosphere. See below for our class descriptions! A class for our younger dancers, typically ages 3-6 with 1:1 volunteer buddies, introducing dancers to dance and creative movement. Use of sing-along style songs, props, and activities such as parachute, mats, and hula-hoops may be incorporated into class structure to facilitate participation and encourage movement opportunities. Dancers will be introduced to Ballet basics while also incorporating up-beat music and freestyle opportunities! 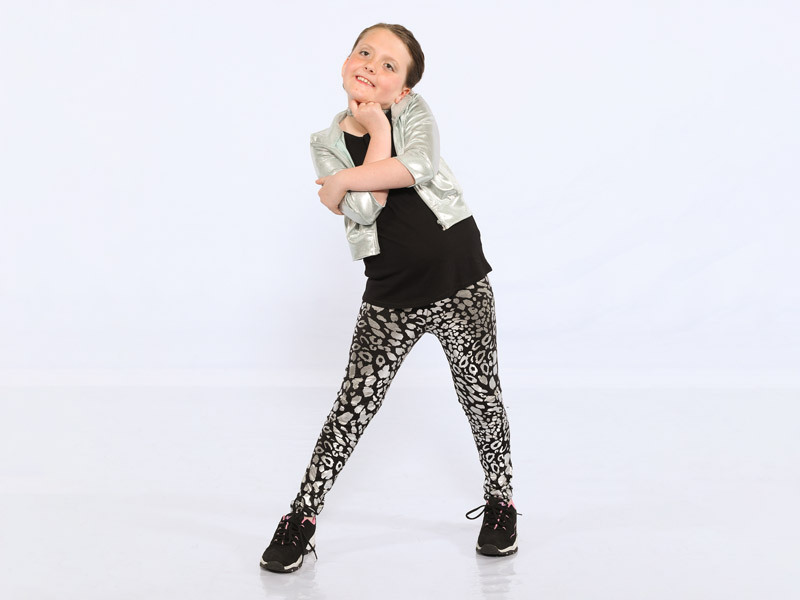 A class for dancers typically aged 7-12 with 1:1 volunteer buddies, designed as an introductory class to a variety of dance styles including Ballet, Jazz, and Hip Hop, and adapted to meet the just-right level of challenge for each dancer. Dancers engage in warm-up, travel to learn dance steps across the floor, and centre dance skills. Dancers work on developing coordination, rhythmicity, and social skills with peers. Freestyle opportunities to develop self-expression and confidence are a key component of this class. This is a great upbeat class focused on fun and participation! A class for dancers typically aged 13+ with 1:1 volunteer buddies as needed, designed to keep our teens and young adults movin’ and groovin’! Classes combine a variety of dance styles including Ballet, Jazz, and Hip Hop, teaching dancers to move in different ways and appreciate a multitude of music styles and quality. Freestyle opportunities to develop self-expression and confidence are a key component of this class. This class incorporates dance technique with fun and socialization with peers! A class for dancers typically aged 7+ with 1:1 volunteer buddies as needed, specifically designed to teach tap skills. 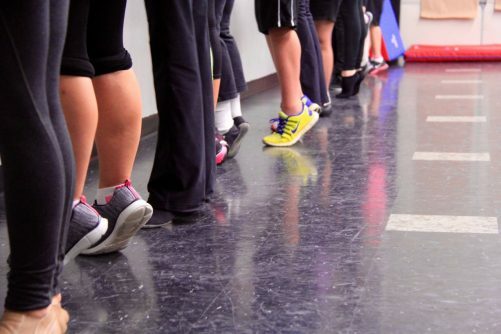 Tap classes develop skills in rhythmicity, counting of music, balance, and coordination, while providing a great source of feedback for dancers to learn through hearing their feet move! This is a great option for dancers looking to expand their dance skill set and branch out from the Ballet, Jazz, and Hip Hop styles. Dancers will be required to wear tap shoes for these classes. A class designed for returning Dance Ability dancers who wish to focus on developing their Ballet/Jazz technique. These dancers do not necessarily need a 1:1 volunteer buddy, but benefit from having peer models in the class to learn from and develop age-appropriate social relationships. Dancers will learn technique and skills based on the C.D.T.A. syllabus. Typically dancers registering for this class have been referred by their OT from The Dance Ability Movement. A NEW class being offered for dancers who use mobility devices and are interested in exploring the “unconventional” ways of using and not using their devices to Break the Boundaries! This class will occur once a month and will be a time for dancers to gather, learn from each other, and explore new movement patterns in a safe and enjoyable way. Dancers will be introduced to basic breakdancing skills, working on upper body and core strengthening. Dancers participating in these workshop style classes do not require a 1:1 buddy, but will have support to try new skills on their own. This is a non-recital class. A NEW class being offered for experienced dancers who love the opportunity to perform! 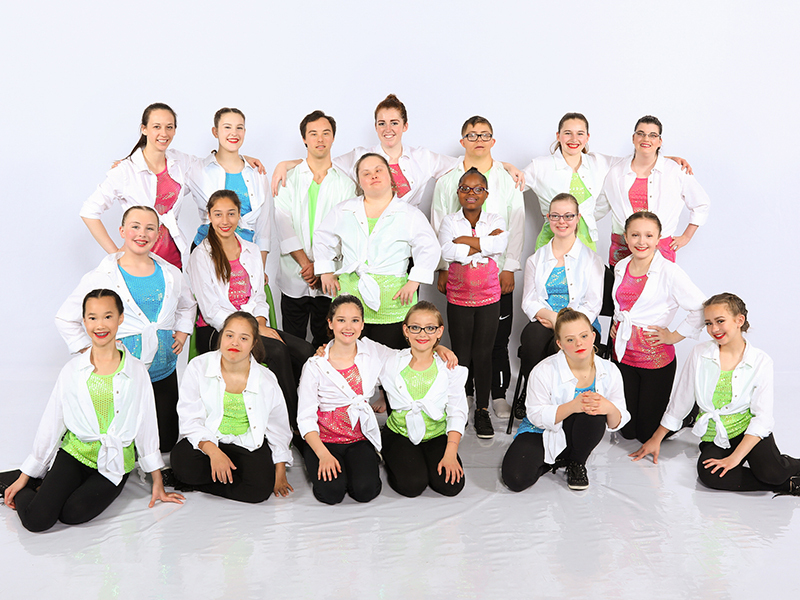 These dancers will gather for choreography classes only, once a month, to learn choreography targeted at advocating for dancers of all abilities and enhancing the social movement. This is not a recital class, dancers will be called upon to perform at various community events. Dancers participating in the Performance Crew must be registered in or volunteering for at least one other Dance Ability class. Dancers must be available for community performances set-out at the beginning of the year, and be open for future performance opportunities that may arise. Dancers must purchase a Dance Ability T-shirt. Attendance at these classes is important! See what classes are being offered in your region!